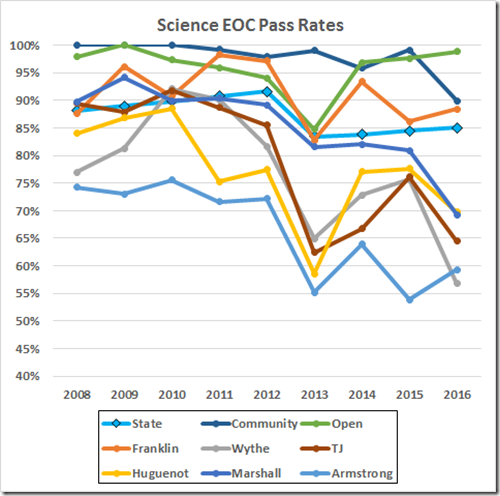 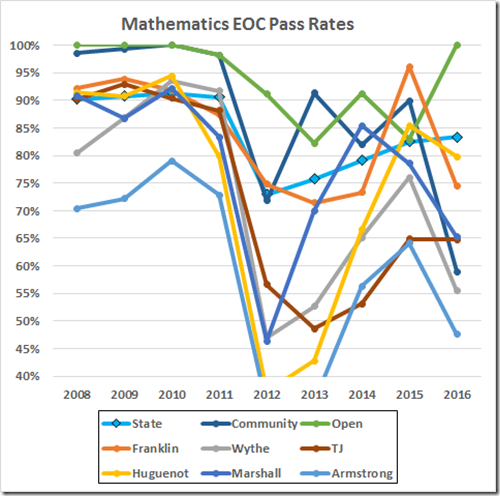 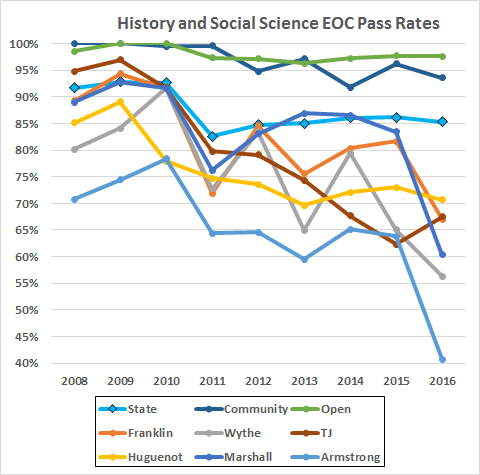 Here are the End of Course pass rates by year for the Richmond high schools. 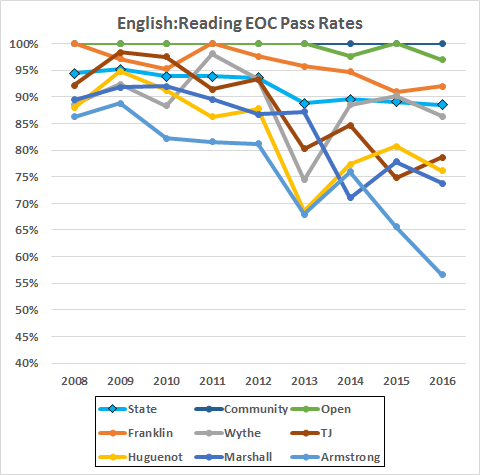 For reference, the accreditation levels are 75% for English, 70% otherwise; the mystery “adjustments” will raise most pass rates by a few points. 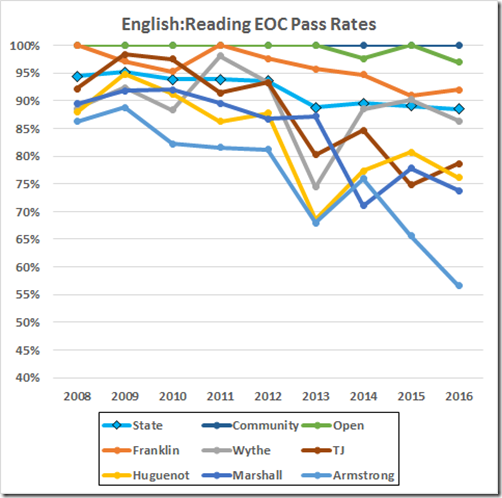 We might wonder how the large drops in pass rates this year in everything but reading can be reconciled with the graduation rate that nearly held constant at 70%.